When I completed the Hoffman Process in 2008, I knew my inner world had dramatically shifted in the most positive way. I also understood how that shift would make a meaningful difference to my family and friends. What I didn’t appreciate at the time, however, was the positive impact my Hoffman experience would have – and would continue to have – on the families of more than 1,000 unique individuals that I’ve encountered in the years since then. My Hoffman journey almost didn’t begin at all. Like many people, I suspect, I wasn’t sure if my reasons for signing up were ‘serious’ enough. What if a family break-up at the age of four, and the subsequent stifling of emotions demanded of me, might not qualify as dramatic enough for such an intense course? I had a good life, a loving partner, a nice home and a successful career as a magazine editor – what was the fuss about? Perhaps I should just stick to what I’d always done – having a good cry every now and again, accepting the blue days, and throwing in a one-hour counselling session when it all got a bit much. The trouble was I’d reached a point where what I’d always done was becoming exhausting and frustrating. I felt like a spectator in the life I wanted to live and of the person I knew I could be. I wanted to make significant career changes and life choices but wasn’t prepared to commit to any new paths or directions until I’d ‘fixed’ those parts of me that were still breaking down, dropping off and grinding to a halt. So when I saw the words ‘If you’re serious about change…’ in a magazine article relating to the Hoffman Process, the resounding ‘YES!’ bursting out of me was proof enough that my suppressed feelings were worthy of attention – and I could not have been more serious about resolving them. Making that commitment and signing up for the course felt like a feat in itself. As did arriving that first day at Florence House on the Sussex coast nervously wondering what had I let myself in for? Should I really be here? Why is everyone else here? Will it make a difference? In the days that followed, those questions would be answered gradually, gently, sometimes painfully or joyfully, occasionally even dramatically. We examined and re-evaluated our lives, our relationships, our attitudes and behaviours, our fears and our hopes in a variety of ways – some surprising, some shocking, some soul-stirringly beautiful. There were moments of self reflection as well as group work, times of solitude and togetherness, periods of deafening noise and quiet contemplation. And all the while a lovely, ever-increasing compassion and camaraderie blossomed between us, as our individual stories and struggles unfolded. And the result of all that? Well, for me, the Process provided the validation I needed. I realised that I had every right to feel devastated about what happened to four-year-old me. It gave me the longed-for opportunity to reach out to that child and give her what she so badly needed. It also filled me with the most overwhelming compassion for my parents whose own unresolved issues had left them struggling to do the best they could. But as well as giving me a deeper understanding of family dynamics, intergenerational pain, and the consequences of unresolved loss, what the Process did above all was put me at the heart of everything. I mattered – deeply. So did my feelings, which I didn’t have to suppress anymore. I had a new-found voice. Now what was I to do with it? After 15 years as a magazine journalist and editor I was ready for a new career direction. Those years had been incredibly fulfilling and great fun. I’d done some amazing things, and met lots of fantastic people. But I wanted to try something new – something that made a difference on a more meaningful level. My search for a new career was fuelled by my interest in human lives and people’s stories as well as my reaffirmed belief that we’re all individually valuable. With this overwhelming sense that every life matters, I felt very strongly that every death – and how we mark it – matters too. More specifically, I felt that a ‘one-size-fits-all’ approach to funerals really wasn’t good enough. 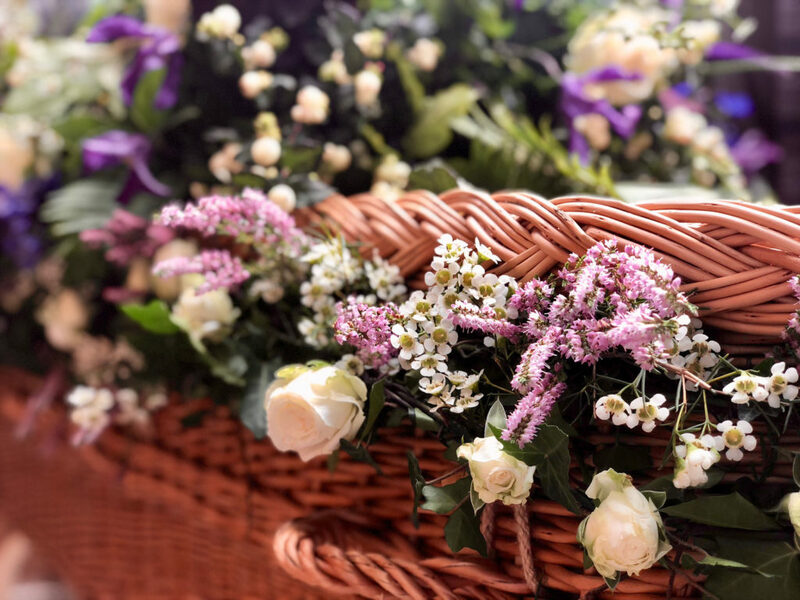 I started researching the funeral profession and discovered there was such a thing as a Funeral Celebrant – someone who creates and leads personalised funeral ceremonies that celebrate individual lives. ‘Well,’ I thought, ‘that sounds like a role tailor-made for me’. Not only did it put a massive tick in the box of ‘making a difference’ and ‘meaningful farewells’, being a Celebrant was also the perfect cross-over of writing experience, human interest and people skills I’d developed and enjoyed in my previous career. So – to cut a long story short – I re-trained and studied. Now,11 years and over 1,200 funeral ceremonies later, I’m doing the job I feel I was born for. This is a work role that feels completely authentic and makes a real difference to people when they need it most. My role as a Celebrant is to capture someone’s true essence – not only the colourful years they’ve experienced and the extraordinary person they’ve been, but also the unique difference they’ve made to the world and to the people who knew and loved them best. I sit down with their family and together we work out how to reflect all of that on the day of the funeral, through words, music and images. I’ve also extended my focus to helping people recognise their unique value while they’re still here. 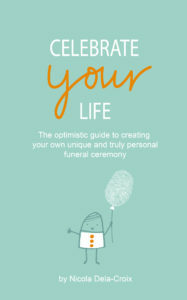 My book Celebrate Your Life explains how to create your own farewell, just how you want it, while my Manifesto for Life encourages people to embrace their mortality and shows how that acceptance leads to a happier, more contented life. Because it’s an everyday part of my working life, I appreciate the benefits of being aware of our mortality more than most. Rather than being morbid or depressing, which many people assume my job can be, it‘s the most uplifting, life-affirming work I’ve done. 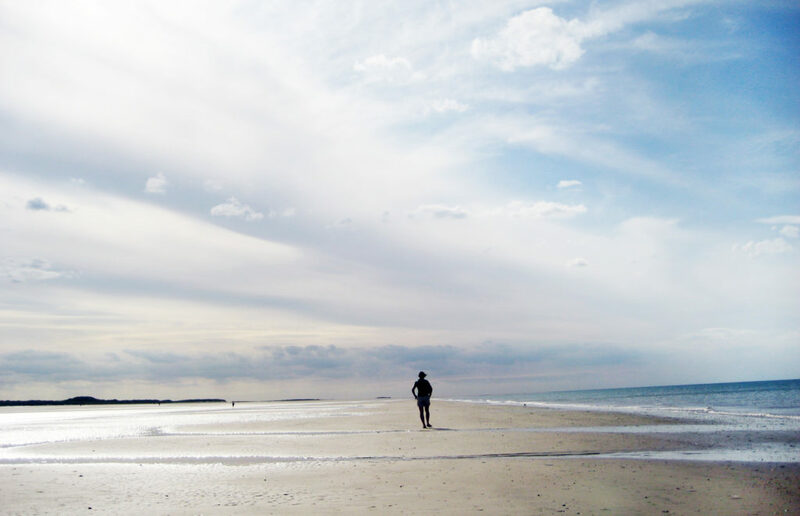 I’m happier now than I’ve ever been precisely because I accept my time is limited. I still moan and groan. I still get irritated and upset about things. I’m still very much myself and all-too-human in that respect! BUT the difference is that I move on from those moments so much more quickly now. It’s not that ‘life’s too short’; it’s that life’s unpredictable. Not knowing when the end will come is what really gives life meaning. When I need to re-focus, that’s all the incentive I need. Families I work with tell me I have a rare gift. And while I do believe I have the skills and empathy required to do my job well, I think the ‘gift’ is in that authenticity I feel, because I’ve found my purpose and I believe in what I do. The Hoffman Process played a significant part in that. I left the Process with a deeper understanding of who I was and the events that had shaped me. And now I can appreciate how those past events have actually helped me to be more understanding, more compassionate and to be able to tune into what people need when they’re at their most vulnerable. Something incredibly positive has come from a painful childhood experience. The Process helped me achieve that clarity and gave me the confidence to pursue the changes I wanted in life with a renewed sense of purpose and self-belief. Now, having once been silenced myself, I am able to give a voice to the voiceless – to celebrate the life of someone no longer here in person and help their loved-ones express what is just too painful to put into words. In this way, my experience of the Process continues to gently reveal itself, the ripples grow wider and resonate beyond my own needs into the lives of others, when they need it most. That’s a beautiful thing. According to scientists, the chances of each of us being born at all is one in fourteen trillion, so our very existence is a miracle worthy of appreciation. There is no guarantee we’ll grow old and there is no such thing as dying ‘before our time’ – there is only ‘our time’. Once we’ve accepted that we stop wondering ‘why me?’ or ‘why them’ if that time is shorter than we hoped for. Nature holds the biggest, most beautiful clues to understanding the cycle of life and death. If we immerse ourselves in its wonders daily it will repay us with a happy heart and contented spirit. It’s important to cherish each moment with our family and friends. And if, alongside the love and laughter, we lock horns, try to make peace. It’s not so easy to put things right once they’ve gone. Every single one of us will experience loss, and if we don’t talk openly and honestly about how we’re feeling or our wishes at the end of life, all we’re doing is denying ourselves the comfort and support we so badly need. We’re all trying to make our way through this crazy thing called life, so wouldn’t it be lovely – knowing we’re all marked with an invisible sell-by date – if we showed each other kindness and compassion? It’s not easy living in the ‘now’ but it’s those moments of ‘present-ness’ that will provide contentment in life as we seize and squeeze every minute for all it’s worth. 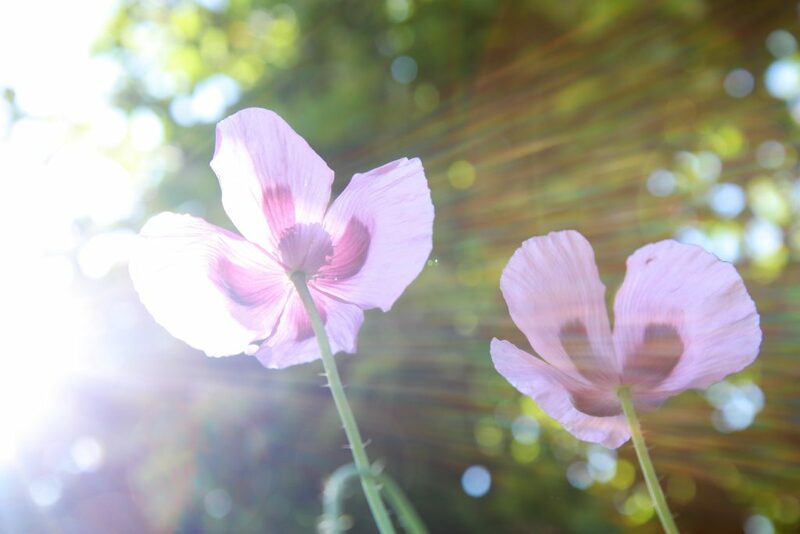 Grief takes us to places inside ourselves we never knew existed, and provides the opportunity to expand our outlook, our values in life and make whatever time we have left more meaningful and fulfilling. We’re all gloriously unique. That makes it hard for others to say goodbye to us when our time comes, but it also makes us oh-so-easy to remember. We each matter in our own lovely, quirky, special way. And we need never doubt it. Let’s not wait for things to get critical before appreciating the fact that we could be experiencing our last day on this planet. Death is always a whisper away. It’s inevitable. So let’s cherish life… always. You can read Nicola’s Manifesto in full and learn more about her work at nicoladelacroix.com. 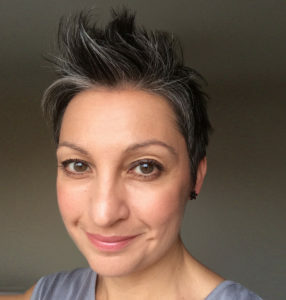 If you’d like Nicola to come and talk to your organisation or group about the work she does, the ‘Celebrate Your Life’ process or to share her Manifesto, there’s more information here.